Dementia is a syndrome of cognitive and functional decline, commonly occurring in later life as a result of neurodegenerative and cerebrovascular processes beginning earlier in the life course [1, 2]. It is a major and growing public health concern with substantial increases projected in the future, particularly in low-to-middle income countries [3, 4, 5]. Furthermore, there is now a consensus that a substantial proportion of cases are potentially preventable [6, 7, 8, 9]. Preventing or, perhaps more realistically, delaying the clinical onset of dementia would have a substantial effect on disease numbers [10, 11, 12]. It has been suggested that approximately a third of Alzheimer’s dementia cases could be attributed to seven potentially modifiable risk factors: diabetes, midlife hypertension and obesity, smoking, depression, cognitive inactivity, and low educational attainment [13, 14]. Adding to this amount of risk explained estimates of population attributable fractions derived from genetic factors , it is likely that a large proportion of variance in dementia risk remains unexplained. Therefore, there is an urgent need to identify further potentially modifiable risk factors for dementia. There is evidence from studying geographical variation in dementia rates that environmental risk factors may also be important in the pathogenesis of dementia [16, 17, 18, 19]. Two previous reviews have reported on environmental risk factors for Alzheimer’s disease: both concluded that aluminium in drinking water and electromagnetic fields were important and one also highlighted occupational exposure to solvents and pesticides [20, 21]. However, both these reviews focused on Alzheimer’s disease rather than all-cause dementia and neither of them used robust, systematic review methodology and so may not have covered all potentially important risk factors. Thus, we present the first comprehensive systematic review on environmental risk factors for dementia. One double-blind RCT is reported (PREADVISE[52, 53, 54]) but this seems to have subsequently converted into an observational study. Table 5 summarises the studies focused on other metals and dementia risk. Aluminium was the most studied metal, with sixteen studies investigating its relationship with dementia including almost 22,000 people with dementia. 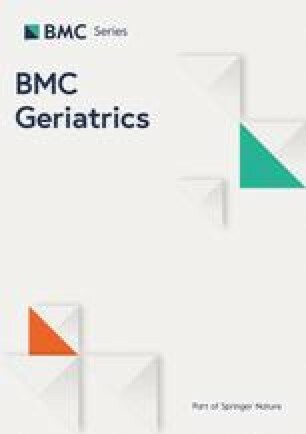 The only high quality study – a prospective cohort study of almost four thousand older adults in south-west France (the PAQUID study ) – found that levels of aluminium consumption in drinking water in excess of 0.1 mg per day were associated with a doubling of dementia risk and a three-fold increase in the risk of Alzheimer’s dementia . Of the remaining thirteen moderate quality studies, six found an association between increased aluminium levels in drinking water and increased dementia risk [40, 41, 42, 43, 44, 45], four found no association [37, 46, 47, 48], and one found a protective effect of higher soil levels of aluminium . In general, the larger studies showed a positive association and the smaller studies showed a null effect. It is challenging to synthesise the published reports on the association between metals and dementia, and the published evidence for an individual element is often weak and/or contradictory. However, there is at least some evidence that calcium, cobalt, molybdenum, nickel, and uranium are not associated with an increased risk of dementia, but this is often based on minimal evidence. One prospective study and the larger cross-sectional studies tend to support an association between aluminium and dementia risk [39, 40, 41, 44]. Table 6 shows the studies investigating links between other trace elements and dementia. A cross-sectional study extrapolated from the medical records of 160 people to estimate annual dementia incidence and found the area with the highest fluoride concentrations in public water supplies had the lowest incidence . Selenium has been the focus of a number of studies. The included review article  referred to a randomised, controlled trial of selenium supplementation to reduce dementia risk, the PREADVISE trial, but this seems to have converted into an observational study and is yet to report on selenium levels [52, 53, 54]. The review also referred to a conference abstract reporting a prospective cohort study , but subsequent reports do not focus on selenium . In general, this review article reported mixed findings from 15 case–control studies and 24 autopsy studies . Table 7 summarises the individual studies relating occupational exposures to dementia risk. Four studies investigated occupational exposure to aluminium in relation to dementia [58, 59, 60, 61]. These tended to be small with consequently low statistical power. Their results were mixed. The prospective Manitoba Study of Health and Aging studied a variety of exposures but the only robust association they found was an increased risk of dementia in relation to self-reported exposure to defoliants/fumigants . The same study reported null associations in all other exposures studied, apart from a protective effect of excessive noise and increased risk associated with radiation exposure. However, in both these cases, only one person with dementia had been exposed to noise or radiation and so there is very limited statistical power. A case-cohort study of 1552 people dying with non-vascular dementia found no association between exposure to diesel motor exhaust fumes and dementia but mixed evidence for extremely low frequency magnetic fields or electric shocks . Two reviews concluded that exposure to pesticides was associated with an increased risk of dementia which was corroborated by the prospective Canadian Study of Health and Aging, Cache County Study, the PAQUID study, and to some extent a retrospective British study of farmers but not by the Manitoba study or a case–control study from Québec; a study from the Netherlands had mixed findings [62, 63, 64, 65, 66, 67, 68, 69, 70]. A systematic review found no support for an association between occupational exposure to lead and dementia and mixed evidence (predominantly null) between solvent exposure and dementia . A case–control study from the USA found an association between solvent exposure and AD, at least in men . However, a case-cohort study from the Netherlands found mixed associations between solvents and dementia, perhaps reflecting the diversity of chemicals described as solvents . Table 8 summarises studies linking miscellaneous environmental exposures and dementia. One study reported no association between climate and dementia admissions . Two systematic reviews examined low and extremely low frequency electric and magnetic fields and, while the evidence is mixed, there seems to be an association with dementia risk and this was corroborated by a prospective study in Switzerland which found that living close to power lines for over 15 years was associated with a doubling of Alzheimer’s disease mortality (but not the occupational study mentioned above ) [73, 74]. Its findings are difficult to interpret, but a prospective study in Denmark found that mobile phone subscription was associated with a decreased risk of subsequent hospital admission with dementia . Three high quality prospective studies (including 11,884 people of whom 691 developed dementia) examined the association between vitamin D and dementia and all found that lower vitamin D levels at baseline were associated with an increased risk of developing dementia [76, 77, 78]. However, this finding was not corroborated by a small case–control study (40 in each group) of people with mild dementia . Finally, one study noted that the area with the highest dementia mortality had the lowest drinking water pH .